Welcome to myPubSite MyPubSite.com offers self publishers and small independent presses easy-to-manage, professional websites at an affordable cost. click to email to learn more and get started today. 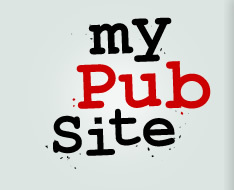 Visit the first website built on myPubSite.com technology.